I spent longer on my Intro to Proofs Unit than I typically do. As I mentioned in my post about my Logic Unit, I typically combine logic and proofs into one unit. After meeting my students and seeing the level they were, I decided to break these units into two and spend a little more time on them. 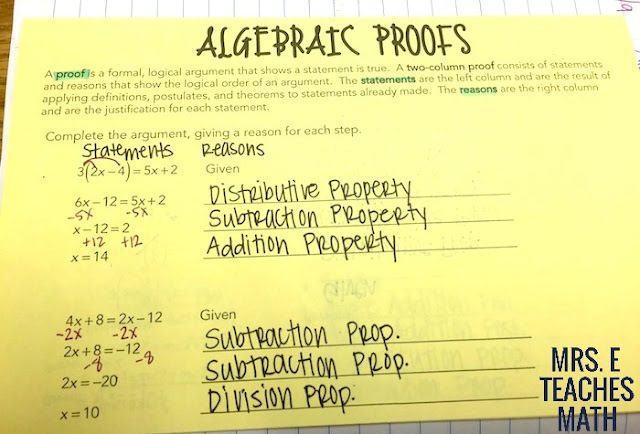 My students have struggled with proofs this year. Not any more than usual, but it strikes me that so many students are afraid to write something down for fear of it being wrong. They’re so afraid of being wrong, that they won’t even try. It’s sad, and it’s something that we’re working on. 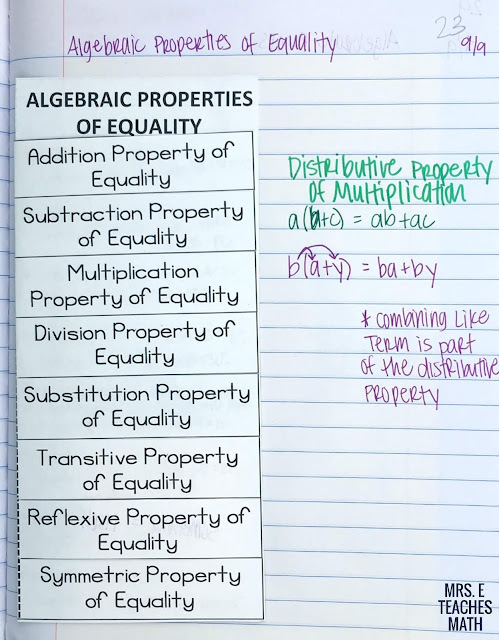 At the beginning of this unit, we talked about the Algebraic Properties of Equality and used this foldable. It went fine and my students had no trouble identifying the properties used - as long as we were working as a class. Any time I had them try on their own it was an epic failure. They were so afraid to try! Then, we did a hamburger book of Algebraic Proofs. This foldable is nothing special. I seriously just did a google images search of Algebraic Proofs and used screenshots inside. 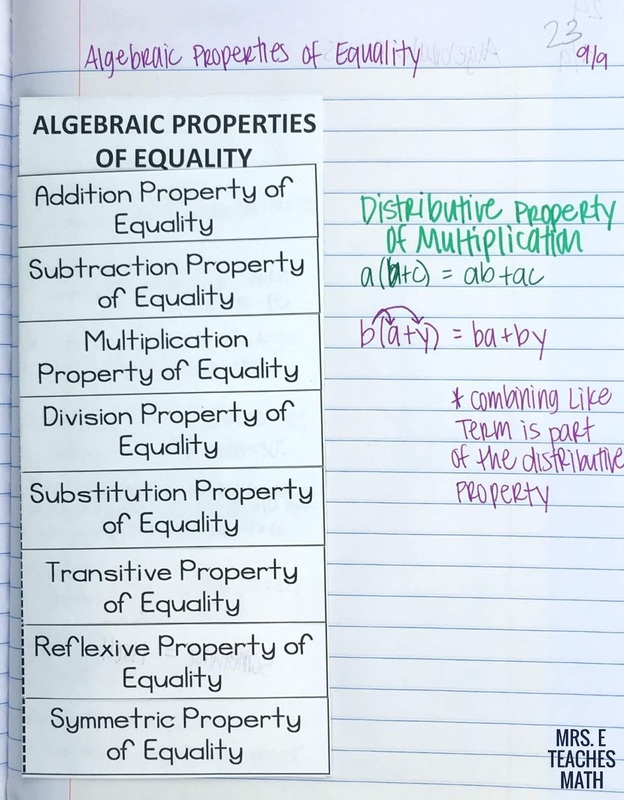 After this, we did whiteboard practice with my Algebraic Proofs Task Cards. My students nailed this! On their test, I had very few kids miss any of the algebraic proofs. 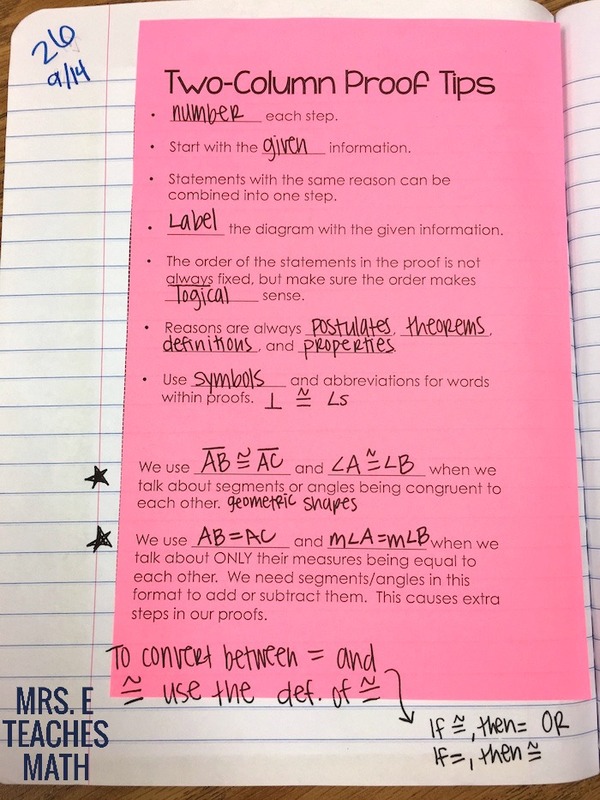 Then, I included a page of proof tips. This page is kind of my catch-all for anything I might have missed telling them about proofs and a place for them to write random hints as we stumble on them in class. I’m also having them keep a list of proof reasons (properties, theorems, postulates, etc) in the back of their notebooks. I can’t find my digital file, but when I do I will link it. Next, we did a flap book about the different Angle Pair Theorems and Postulates. 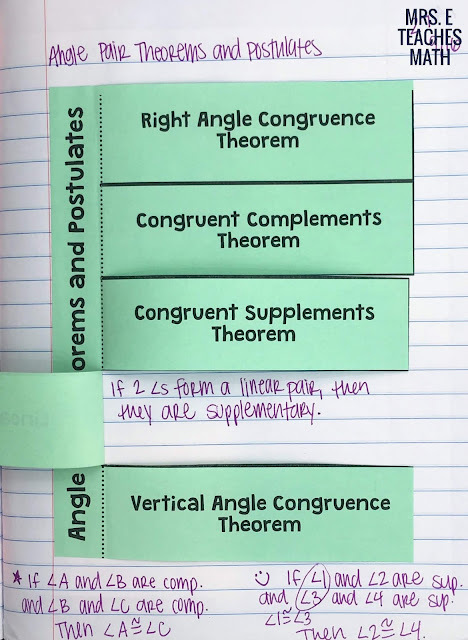 The theorems are written out under the flaps. My students always have a hard time with the Congruent Complements Theorem and the Congruent Supplements Theorem, so we added a little bit more about those on the bottom. The last page for the unit was another proofs practice hamburger book. I didn’t take a picture of it because it’s super-ugly. It was the same idea as the other one with lots of screenshots though. I want to make up my own proofs and type them out nicely, but I just didn’t have time this year. Summer project! Did you ever find the link for the "Two Column Proof Tips"? Thanks so much for your helpful posts!